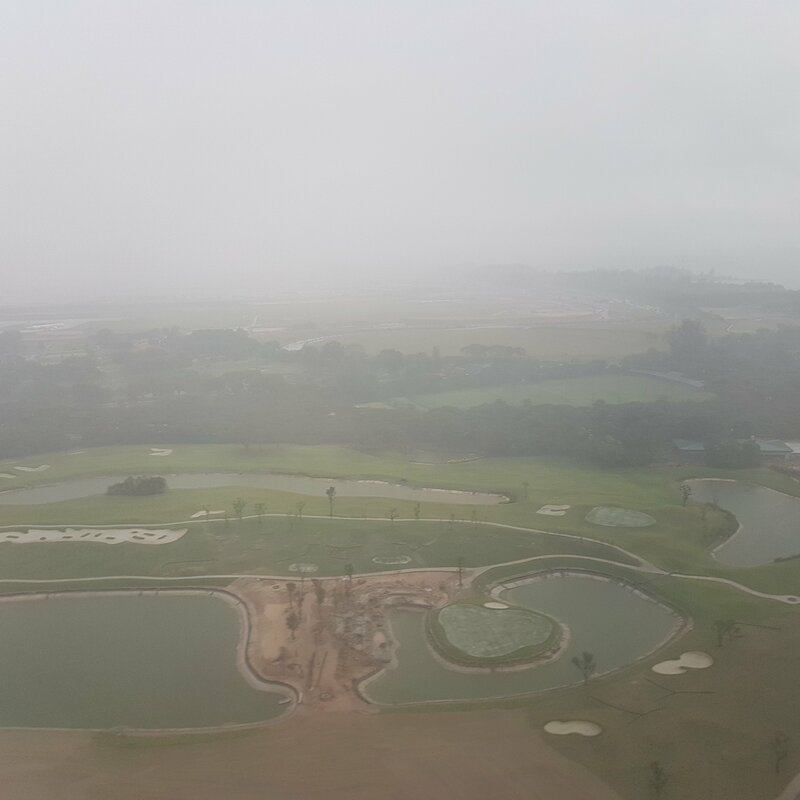 Yesterday on the 6th of December I started my 16.5 hrs journey back to the Island of the gods, a.k.a.Bali. 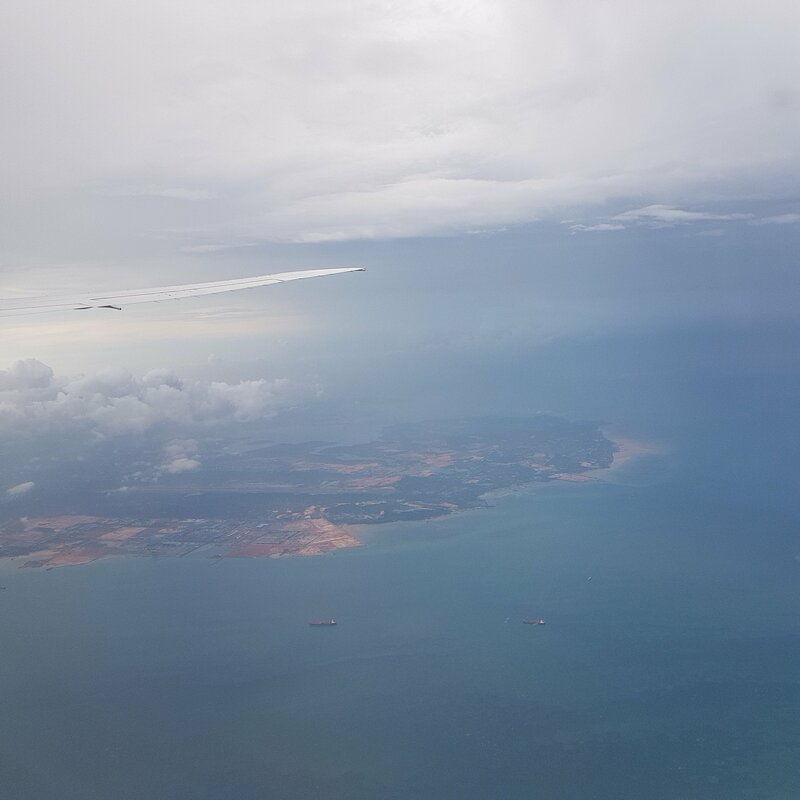 Eventhough the conditions on Bali have been restless due to the volcanic activity, I still wanted to bring you along on my journey. I personally did not want to play a tourist who is just a curiosity seaker when something would happen to the volcano. However the local people in Bali, are being hit very hard due to this volcanic activity. If this activity would continue it would look like 70% of the people working, will lose their jobs due to this volcanic activity. So they really need the money. And that being said was also a reason for me to go. Also the Dutch government did not issue a warning not to go to Bali. They only cautioned not to go the direct area of the Volcano Agung. So that being said lets continue on with this post. 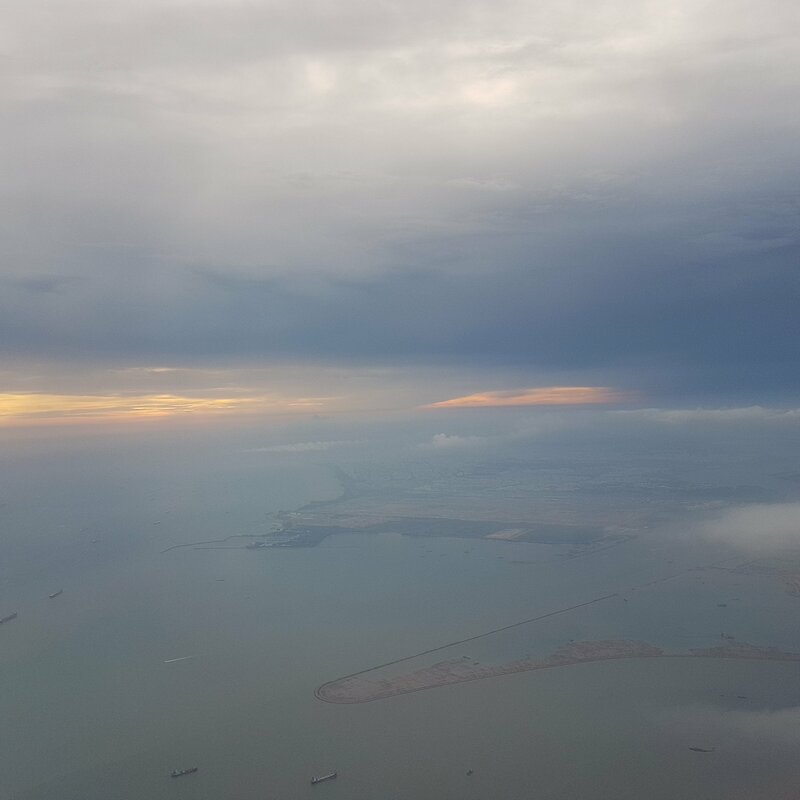 I had an evening flight which left at 20.55 from Amsterdam to Singapore. Ofcourse I was at the airport 4 hrs in advance. As courtesy of the parents 😉. God love them for bringing me to the airport, as I would say I was a bit nervous/ anxious to take this flight. After having a coffee I sad goodby to my parents and headed of to customs. 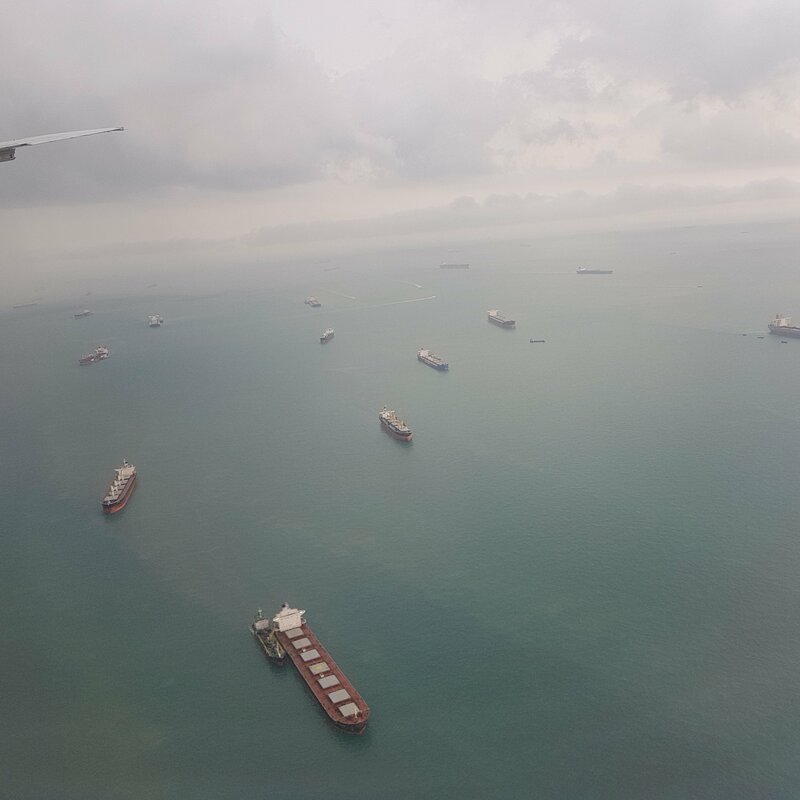 Customs went very smooth, even though I heard some swearing from the local officers because people did not remove their liquids. After customs, I settled for some light retail therapy. And I would say the only part of my body that got excersise that day was my right arm swiping my card. Ofcourse I had to visit the MAC counter and caved into buying my favorite concealer, strobe cream and fixing spray. Neccesities in live right? After the mandatory excersise, my stomach went on strike and demanded food. I felt considerate to said stomach and soothed my craving with some Ramen. Which resulted in salt overload and humungous thirst. Very uncomfortable on a 16.5 hr flight. All though I must say KLM staff were making the effort on hydrating us frequently. Cuddos on them. However that meant I had to get way to familiar with one of my main phobias in live, TOILETS. Not just toilets, but airplane toilets. Getting to TMI here, I know lets continue. I arrived at gate just on time for boarding and was pleased that I did not have to the Home Alone airport run. Yeeh team me! Eventhoug all passengers were on board on time, the flight got delayed due to the avio bridge being broken, o well there are worse things. Generaly the flight was ok there were some cases of turbulence but survived by trying to fake my way through these incidents by sleeping and being master Shivu. The word inner peace came across a lot. 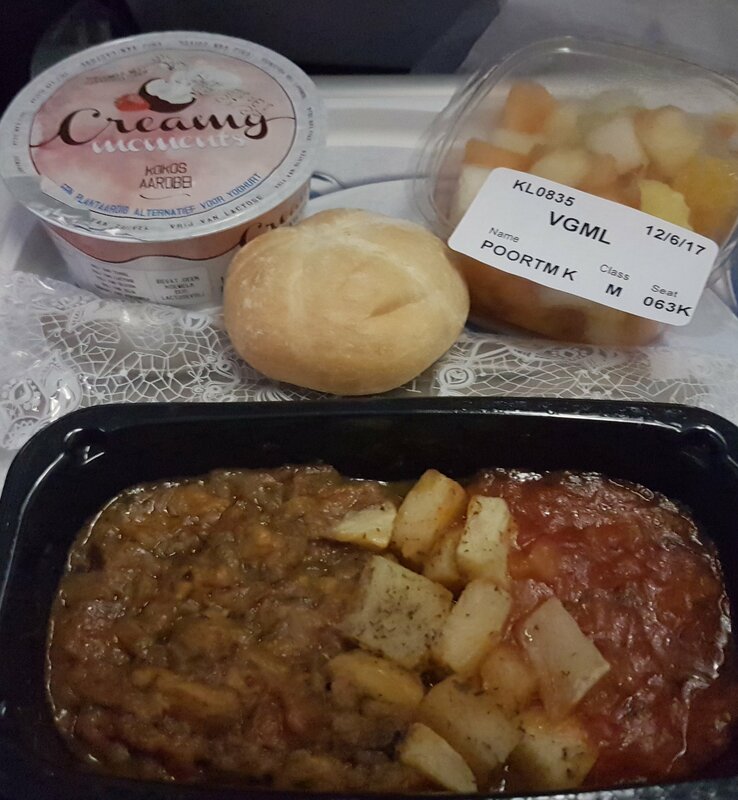 During the flight I had 3 meals which were all ( claimed) Vegan. 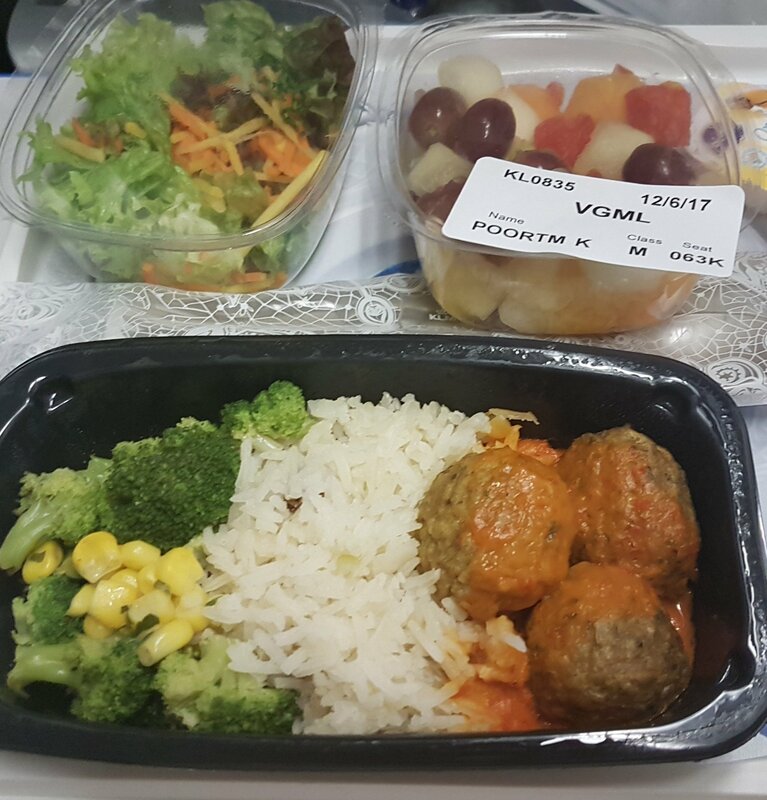 And I must say compared to the other flight to Bali this was the better meal. Dinner on 6 December was a Vegetarian falafel in a bell pepper sauce, some vedge and fruit. 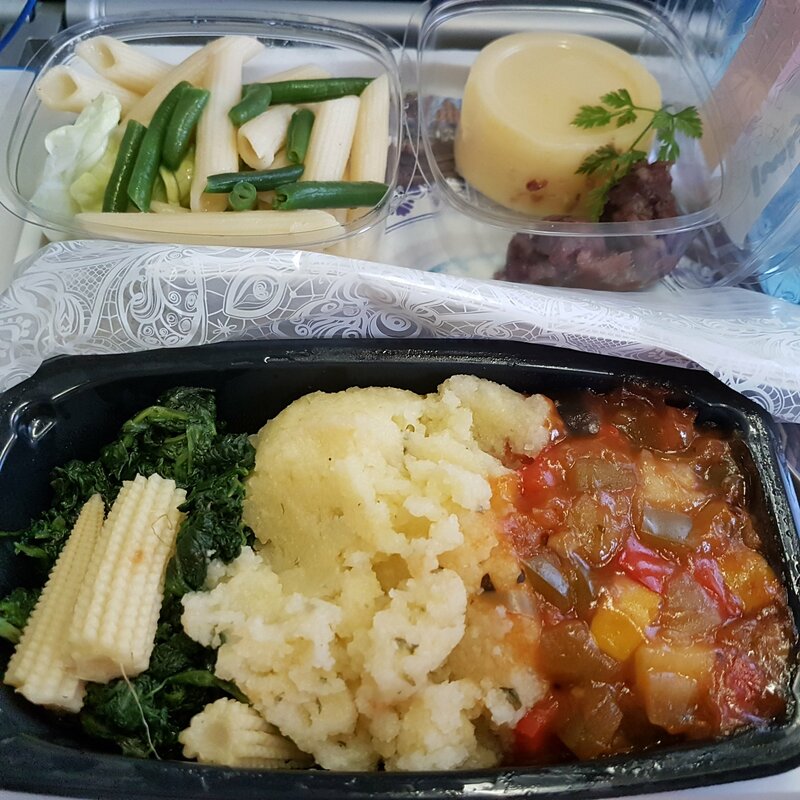 The last dinner on 7 December from Singapore to Bali, contained a Polenta meal. All though must say they served it with some dodgy pasta and lettuce leaves. Desert containt out of some Tapioca pudding and red beans. 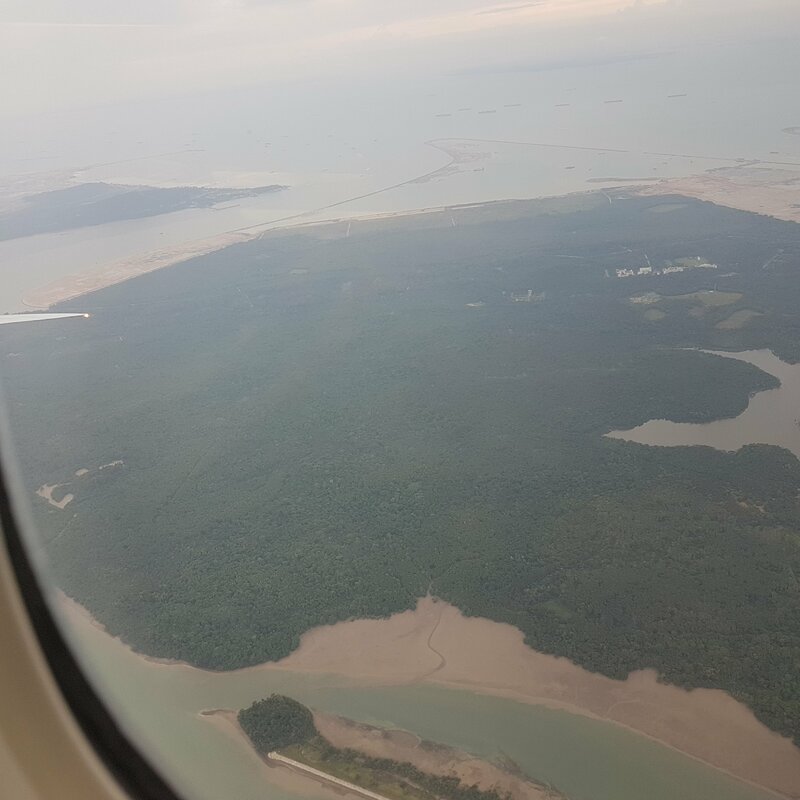 So the flight time from Amsterdam to Singapore was 12 hrs and 50 min and from Singapore Bali it took 2 hrs and 30 mins or so. However calculating the lay over time it was about 16.50 hrs. Be prepared for a longer post than usual, but hopefully worth it! Hopefully you will all enjoy some of the photography shown in this post. So lets go through the last day from my holidays. Another lazy bum day. I know, I know should be active but letting the good times role and enjoying the weather the food and the overall relaxing. This was the longest yet one of the most beautiful trips I made. We got picked up from our hotel at 8.00 hrs and we returned to our hotel at 19.00 We visited so many things! 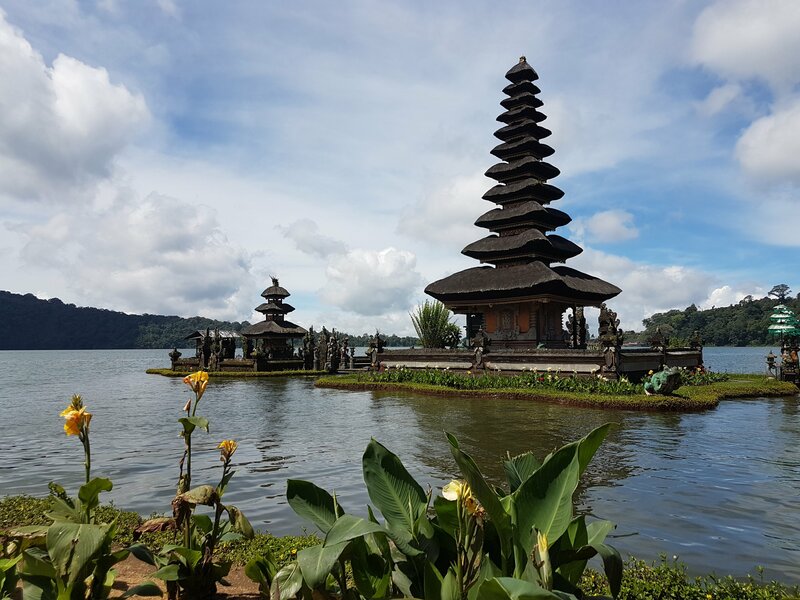 Such as a local food market, another coffee farm, the twin lakes , more monkeys and the most serene place I ever visited the Pura Ulun Danu Bratan Temple. The temple was in the water and the flowers, the lake and overall nature was beautiful. I highly, highly recommend doing a North Bali Trip if you are in Bali. Either doing it by yourself or booking via an agency. The last day of my stay in Bali. I extended the stay at the hotel so I could still have a shower at 16.00 hrs as my pick up was at 17.25 hrs. I really tried to make the best day possible out of my last day. This meant I Woke up early and had my breakfast early. Afterwards I headed to the swimming pool where I remained the most of the day. I really loved the relaxing at the swimming pool and having a great view over Sanur from the Infinity pool. You could really see the kites that were being flown from the beach. I had lunch at approx one and enjoyed my last batch of tasty food. Soon I would be doomed by the horror that is/ was airplane food. And trust me the food on the plane going back was not that good. The I was so very sad to leave the hotel and the beautiful island that is Bali. During my (minmal travels) I met really nice people and it made me a better / stronger person to make this decision to go by myself to Bali. But guess what ,I will be returning to Bali in 4 months time. I might have become slightly obsessed , I know :p. But there are still a lot of things I want to do. Also I want to experience as little wintry weather as possible. 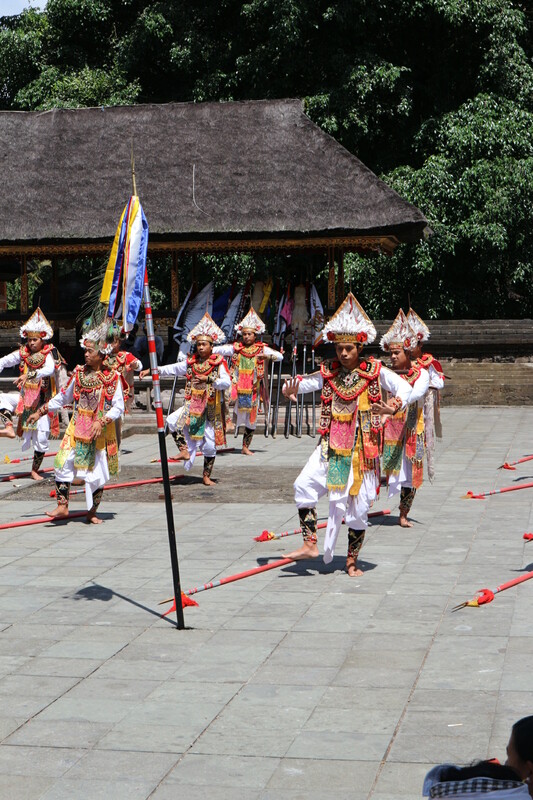 Thus for now the tales of Bali are over but I am sure there are more adventures to come. if you liked this post please like and subscribe and hope to see you back soon to Thumbelinaslifestyle.com. But without further a do please check out the food and some drinks I had in Bali! Nasi Goreng Gambing, Seafood Curry ( Cannot recollect the name) , Nasi Goreng Kampoeng.Singaporean Noodles, Gado Gado, Corn Fritters and Kwetiaw Goreng Seafood. Tropical Cocktail ( Again forgotten the name) and a green ice tea. The great thing about that one was you could adjust the sweetness of your tea. As my experience was that the Iceteas in Bali and Singapore are real sweet. Pisang Goreng with Ice and Nutella and cheese croissants. Now you would say this sounds strange but I was pleasantly surprised. Food is a joy in my life and I hope to find more delicious food in the years coming. What is your favorite food and what would you recommend me trying? Feel free to leave a comment. Another combined posts about the amazing time I spent in Bali. Enjoy and lets get started shall we! We started of by visiting the butterfly gardens. I saw these amazing big butterflies and the flowers there were beautiful. 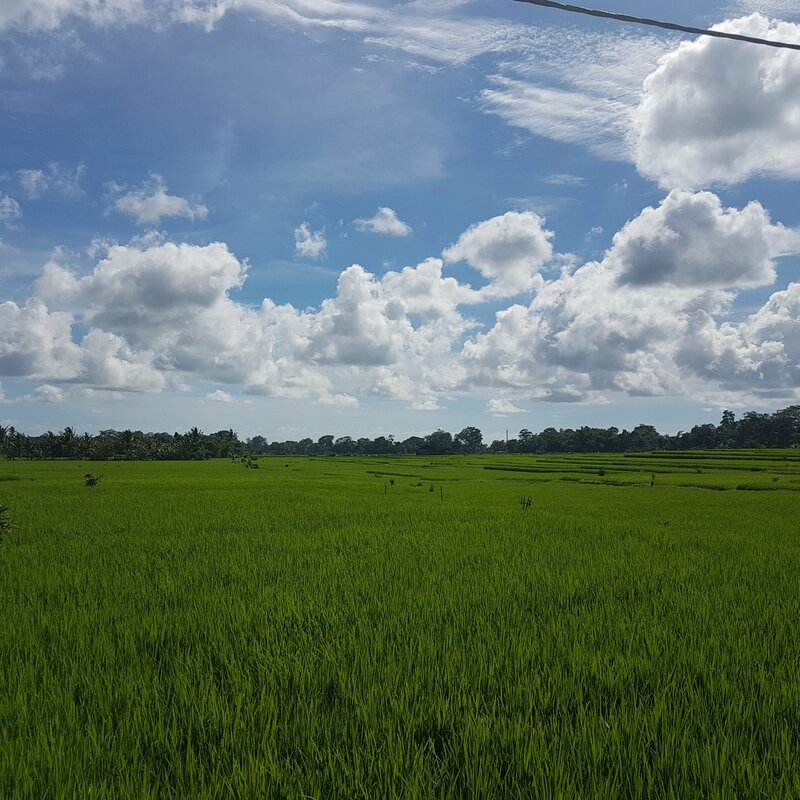 Afterwards we headed to the rice fields and had a beautiful view over the paddies. Of course food was a given. Afterwards we headed home. Let the lazy time role! Loving complete laziness, Enjoying the Beach the sun the food what is there to tell. It was time for another excursion. It was time to visit the East of Bali. 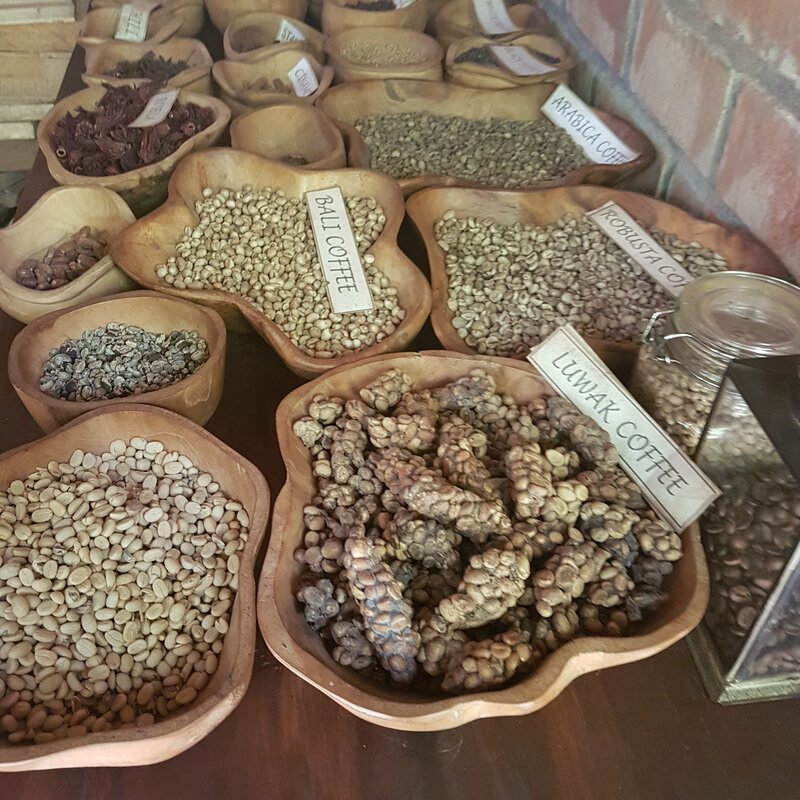 We visited the plantations and sampled some coffees and teas. Also we visited a family in their house and it was very interesting to see. After lunch we visited one of the most beautiful temples during my stay in Bali the Pura Agung Besaki. I just let the lazy time role which involved a lot of swimming, sunbathing, reading and food. These were some very active and relaxing days and I so enjoyed the combination of activity and sheer laziness. 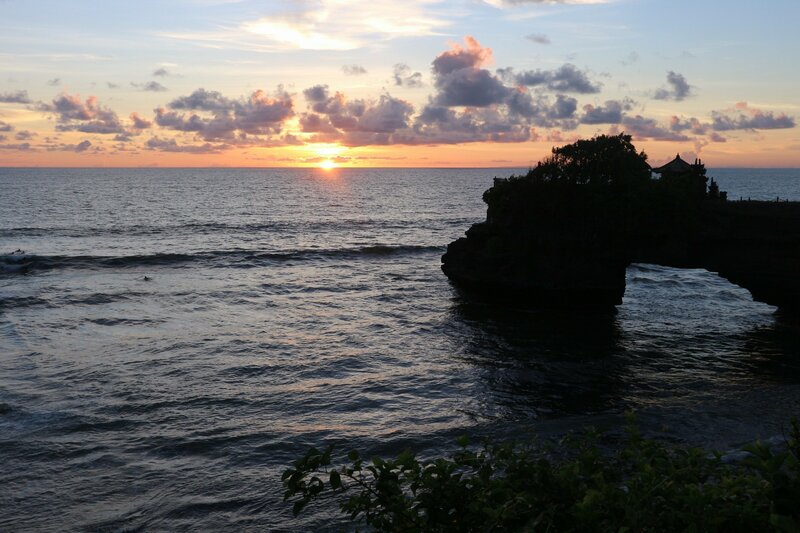 I hope you all enjoyed this consolidated post of one of my last days in Bali. 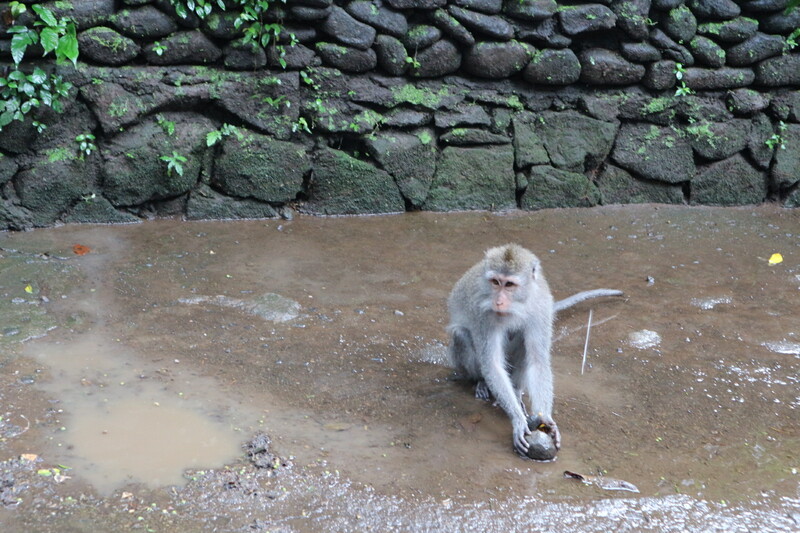 Another blog post dedicated to my trip to Bali. I hope you enjoy reading it. I must say I did not do a lot this day. I can remember just being very lazy. I woke up late and had another pool day and having a nice nap at the end of the day. Today it was time for another excursion. I was picked up at 2.30 in the afternoon to go to the Pura Luhur Uluwatu Temple. This Temple is situated on a cliff and the sunset is spectacular. And look at those cliffs and the nature and the water. Afterwards we headed to the open air theater to watch the Kecak Fire Dance. It was a nice experience to see, and some scenes were real funny, especially the last act. After the dance we had a 30 min drive to the beach of Jimbaran to have dinner. Even though some of my fellow travelers complained about the location I thought it was nice. Not to busy and touristy. We had a full menu of fish and some drinks. Also we saw the night light up with lanterns. Returning home it was shower and relax time. If you have not checked out my other posts regarding my trip to Bali click please check out my blog. The day started early at aprox 6.30 as I had to be ready by 8.00 hrs for the pick-up for my excursion to Ubud. 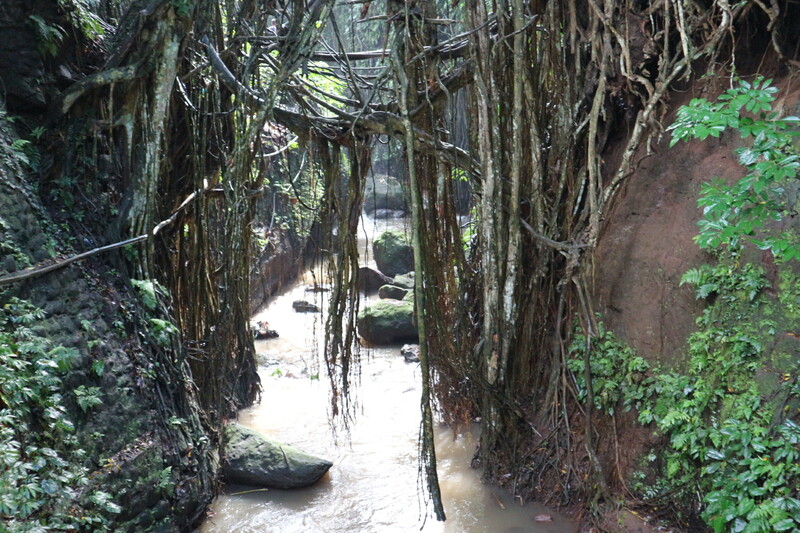 We started out at the Monkey Forest Sanctuary full of Macaque monkeys. This was a fun excursion and the Forest was and is beautiful. 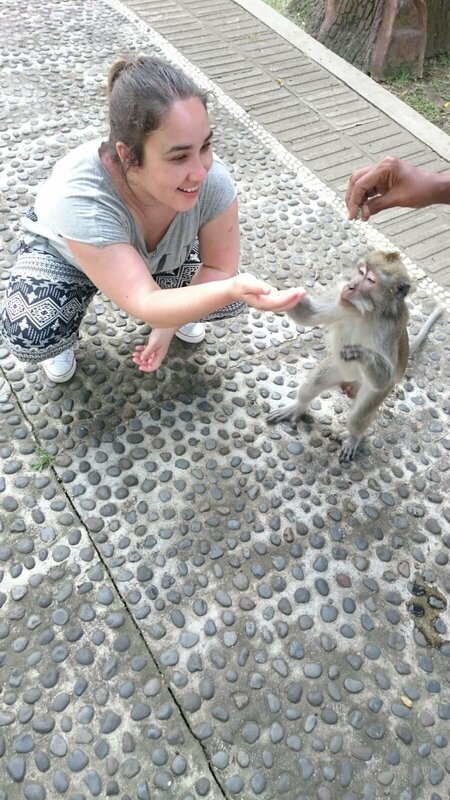 To be honest the monkeys were quite cheeky once they knew you had food on you. Especially the leader. Aferwards we left for Ubud market and the Kings Summer Palace. At the moment they are restoring the palace but one thing I know for sure the palace will look beautiful once done. 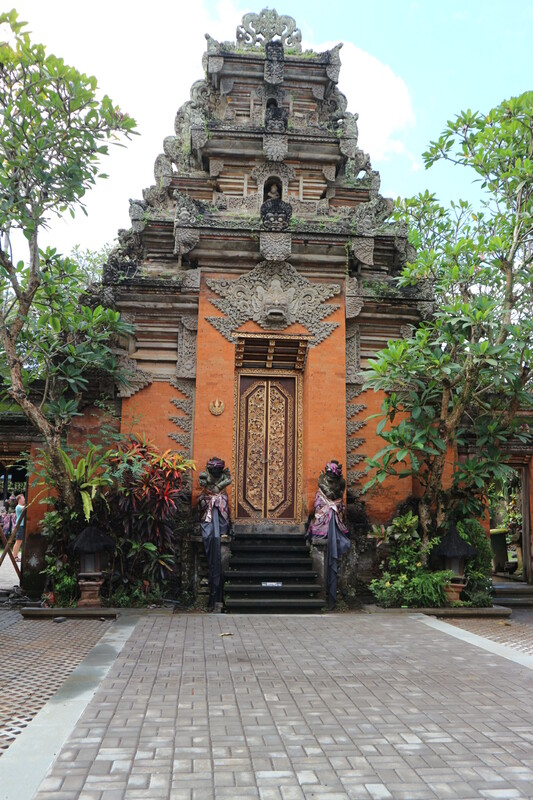 Really the architecture in Bali is beautiful. Even the airport love it. 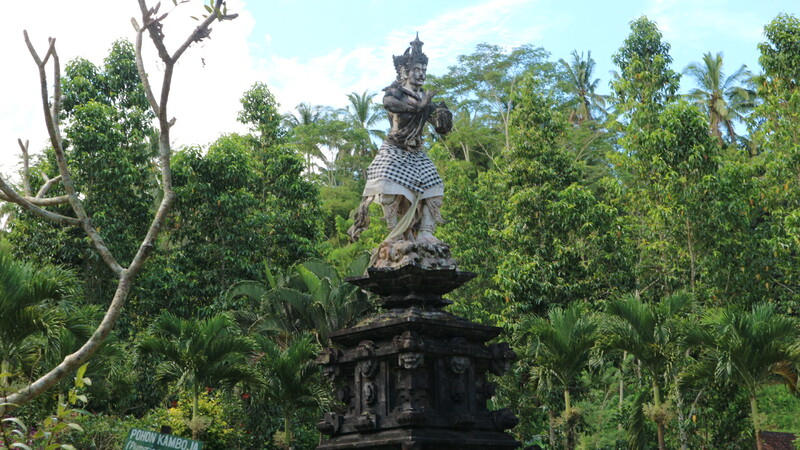 After exploring Ubud for about 40 minutes it was back to the little bus and of to the Tirta Empul Temple. This is a very peaceful place and we saw people cleansing themselves. Also we were witness of a very rare dancing ceremony. Once we visited the temple it was time for lunch. I had Gado Gado. Very tasty! This was the first time I had it without rice but none the less tasty. For our last stop we visited local woodcarvers. I am so impressed that these people can make such beautiful sculptures out of wood. Afterwards we were dropped of at our hotels and I enjoyed a well deserved shower session. I hope you all enjoyed this post and as always feel free to leave a comment.